How can you say you love something, if you’ve never known it? How can it be your favourite, if you’ve never experienced it? 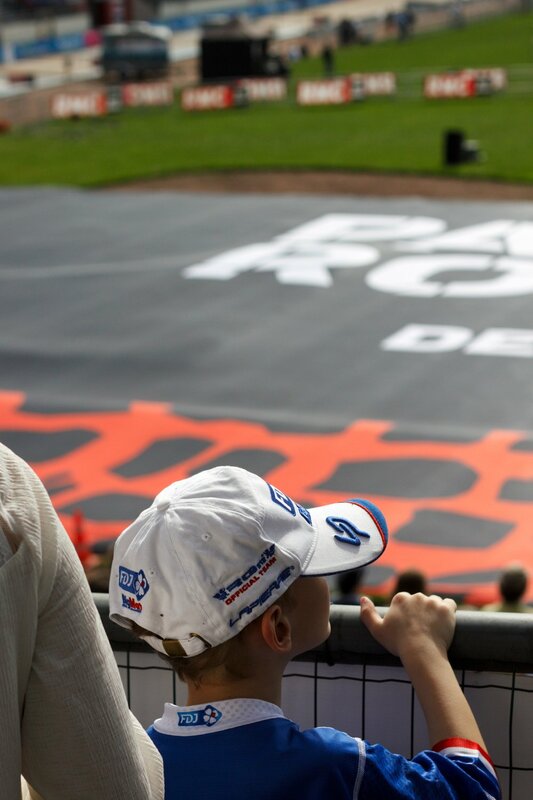 I’ve called Paris-Roubaix my favourite race for years now, but without riding the cobbles, how could I really know? Sure, it looks tough on TV. Sure, everyone who’s ridden it says it’s the hardest; brutal, vicious. But really, you can’t say you love something until you’ve done it for yourself, can you? Beauty may be in short supply in the industrial north of France, but Paris-Roubaix is a beautiful race. It is a dichotomy of a race. The vicious, jarring attack of the cobbles makes the asphalt that follows it seem like riding on glass. Famous for atrocious weather and that merely adds to its attrition, it’s been sunny for every edition for almost two decades. It’s the most beautiful race in the world. It’s a race for dickheads. 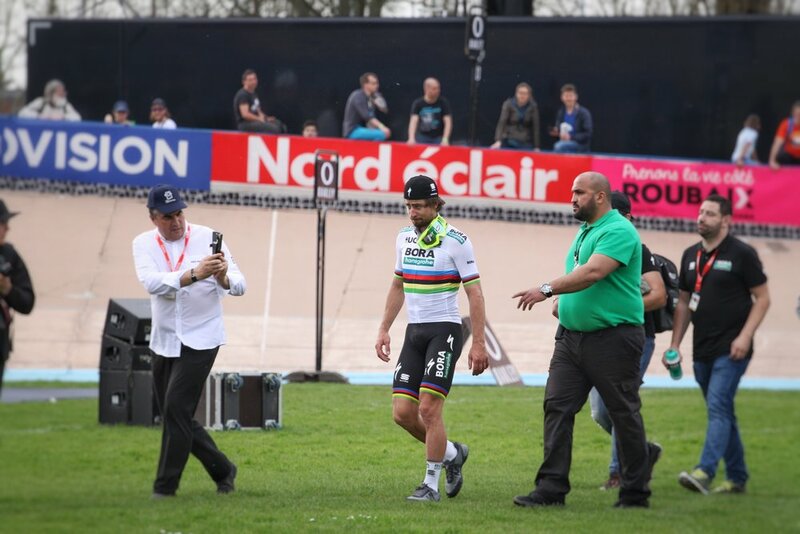 I didn’t understand how all that could be true, and I’d have never understood, if I hadn’t ridden every cobbled secteur the day before the pros did the same thing, twice as fast and with ten times more panache, last weekend. It was the best day I’ve ever had on a bike, and at times I’d have done anything to make it stop. Across Hauts-de-France there are mines everywhere; mines and their detritus of them. The cobbled roads are part of that detritus, but then there are slag heaps, spent chimneys and long, long trains, hauling their cargo across the landscape. The dawn was a brilliant, deep red - nobody on the bus wanted to mention what shepherds would’ve made of it, but there were plenty of snapshots, taken through the window. The pros ride 100km before they hit the first cobbles, but the Paris Roubaix Challenge organisers spare amateurs that trial, and give us a mere 10km to warm up before the first cobbled secteur, at Troisvilles. I make sure to hit it out ahead of the rest of the group I’ve found myself within. I want space around me, no one to fall off in front, no one to hit me from behind. It’s a tactic I try to keep for the rest of the ride - speeding up and shooting off to ride the cobbles at my own pace, before regrouping on the tarmac. The impact of the cobbles is less than I expect. It’s like nothing I’ve ever felt on a bike before: my hands are bouncing off the bars and the bike has a mind of its own, but I don’t try to control it, and it knows where to go far better than I do. After 100m, I’m thinking, ‘This is ok, I can do this’. After 250m, I love it. A kilometre into the 1.5km secteur and I want it to stop. The repetitive vibrations feel like wrestling a road drill or trying to lift a washing machine while it’s on a spin cycle; then comes relief, with asphalt that feels like jumping into a cool pool on a hot day. You can’t even remember what the heat felt like. As soon as the cobbles cease, it’s like they were never really there. The brilliance and the cruelty of Roubaix is that it is never long before the next secteur hits. You never have long to recover, but by punctuating the 175km like this, it feels like half the distance. The second secteur is better, I’m ready for it - less nervous and even confident enough to overtake someone after it finishes running downhill. I didn’t know it then, but it was in the midst of this secteur that the following day, young Belgian pro Michael Goolaerts tragically suffered a cardiac arrest and later pass away in hospital. Sport may be beautiful, but it can also be cruel, sometimes robbing us of those who are most full of life, at the peak of the powers. Without knowing how or why the accident happened, all I can think now is that I hope he died doing something he loved, something that made those who love him so proud of him, and that he will be remembered for his wonderful life, not its tragic end. Roubaix is a race that has always been fetishised for its toughness, with the names of its worst parts incanted like warnings or prayers: Mons-en-Pévèle, Carrefour de l’Arbre, Bersée. Like pilgrims following stupas around a mountain, the secteurs are approached with respect and some fear. None is muttered with more awe than the Trouée d'Arenberg. 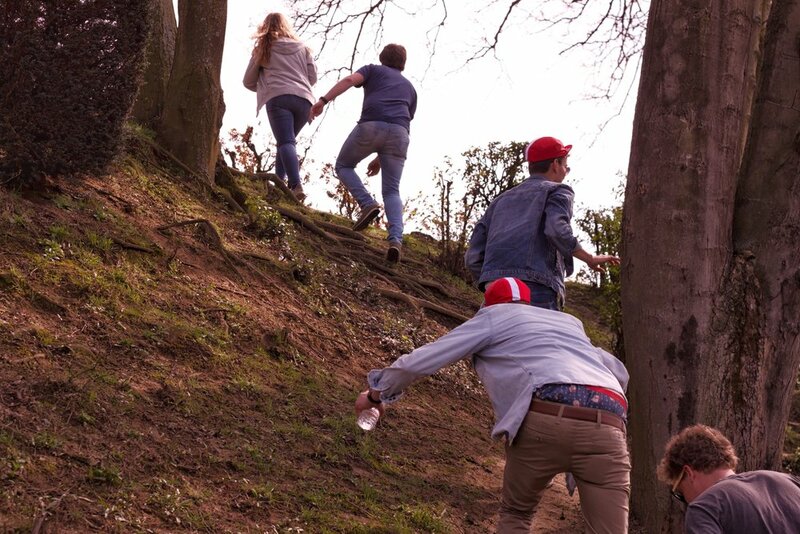 Described as the descent to Hell, or Hell’s trench, it was added to the race in the seventies, before being removed for years for being too dangerous. It only found a permanent place in the nineties. Cycling, more than any other sport, lives on its mythologies, and the grim myths that surround Arenberg are some of the best. The Trouée d’Arenberg (‘The Arenberg Trench’) was ‘discovered’ by former miner-turned-pro, Jean Stablinski - super domestique to Jacques Anquetil. The legend goes that Stablinski worked in the mine beneath the Arenberg Forest as a teenager, before turning pro, when he suggested the addition of the Trouée, to make a race that had grown somewhat tame more of a challenge. They don’t make them like that anymore. For those riding the Challenge’s longest distance, Arenberg comes around 75km into the ride, with ten secteurs already complete to prepare for it. On a bright sunny day, it was still dark in the forest the Trouée runs through, the cobbles slick with mud and moss, and more uneven and jagged than any others. The 2km long secteur starts with around 200m downhill before bottoming out and starting almost immediately uphill again. This means that after the short, fast descent, you’re almost immediately pushing hard just to stand still, bouncing from cobble, to moss patch, to hole and back again, all the while feeling like a diver who can see the light of the world above, but can’t quite reach it. As I surfaced again after surviving the Trench, I’ve never seen so many relieved-looking people, less than half way into a ride. I felt like a cricket fan who’d been selected to bowl at Lords; a football devotee taking a penalty at Wembley (the old one, obviously); a tennis nut serving at Wimbledon. Tell anyone who thinks cycling isn’t beautiful, isn’t the greatest sport - tell them that. And still though, the euphoria subsides, and still though, secteur follows secteur, cobble after cobble. The attrition is awful, and gradually the repeated assaults leave my hands bruised and bloodied. Everything else, even my bike, was fine… but there was nothing I could do to protect my hands. The secteurs grew longer both mentally, and, in the case of those with five-star ratings, like Carrefour de l’Arbre, physically. And then, finally they ticked down from three, to two, to just one remaining. I’ve finished a lot of rides and races and felt a sense of anti-climax. Was that it? What now? 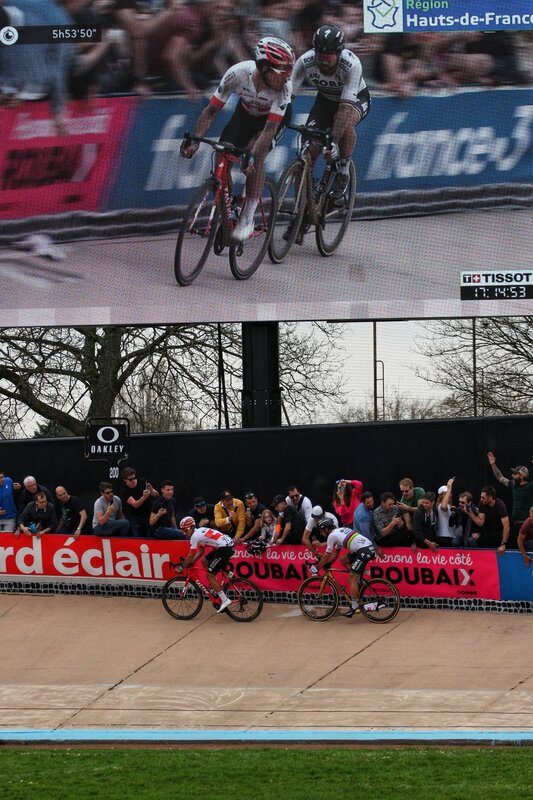 At Roubaix, the finish in the velodrome is only the first part of the historic celebrations. Crossing the line is fine, some even raised their arms in simulation of a real, honest victory. But for me, the real celebration, the crowning of the ride, came later. Perhaps only in cycling would being able to use an ancient block of showers be considered a triumph, a treat. But cycling is odd, and cyclists are odder. The showers at Roubaix are almost as famed and infamous as the parcours, and again I’m taken aback at the openness of it all. Me - lousy, muddied, bloodied me - allowed into this block; this block where giants amongst men have performed their post-race ablutions… following in the wet footsteps of Roger De Vlaeminck, Bernard Hinault, Sean Kelly, and, first amongst equals, the Cannibal himself, Eddy Merckx. After that, there is nothing left. No room in me for any more wonder, any more awe. I switch off, and try to process it all. What does it mean to have completed the Queen of the Classics, the greatest of the Monuments? 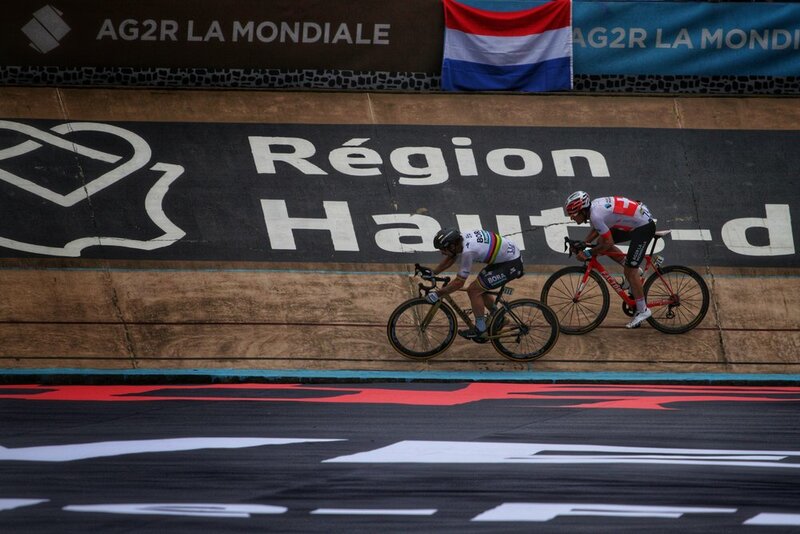 Those who know cycling though, know that Paris-Roubaix has another name. It is the Hell of the North. Despite the PR, the grainy photos and the stories we tell each other, it’s not called that for the state of the roads, the weather, the crashes, or the length of the race. One hundred years after Armistice Day, we should never forget that the race gained its nickname in 1919, when it wound its way past areas that still evoke the horror of war merely by mention of their names: Ypres. The Somme. Aras. So, yes, spending a day on the bike charging over cobbles is tough on the body. But if you are going to talk about suffering, make sure you talk about it with an understanding that suffering you can turn away from is no real suffering at all.